Ever since I was a little girl, Christmas time always meant gathering around the television to watch Rudolph the Red-Nosed Reindeer, and How The Grinch Stole Christmas. I’d sneak out of bed early, pop in these videos, and grab a box of Entenmann’s Chocolate Chip cookies, gobbling up the goodness of the Christmas Spirit. But these were more than just holiday classics. They were life lessons. Rudolph the Red-Nosed Reindeer taught me that even though I felt different from everyone else, my difference may some day be the thing that people love about me the most. 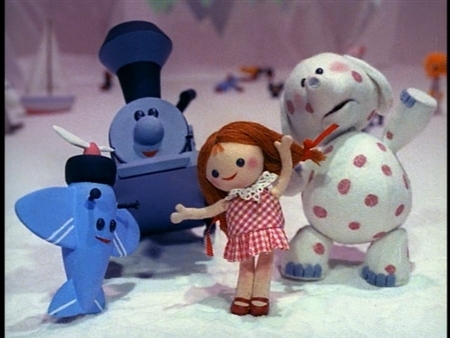 The island of Misfit Toys was a place for those who felt like they didn’t belong to be in the company of those who understood their plight. I learned that although people may laugh at you, one day it wouldn’t matter. Rudolph’s Shiny New Year introduced us to the baby new year, named ‘Happy.’ He was anything but happy, and hid underneath a big hat because he was ashamed of his big ears. When Rudolph finally tracks down Happy, he asks to see his ears. Happy resists, but then he gives in. Just as he suspected, Rudolph began to laugh. In a moment of real television magic, Rudolph tells Happy not to be offended by his laughing, and explains that the reason he laughed when he saw Happy’s ears is because the sight of them filled him up with so much joy, it burst forth in the form of a laugh. What about the Grinch? This was a rotten being whose only interest is taking away Christmas. Why? Because he was miserable and wanted everyone else to be miserable too. In essence, he didn’t want anyone to have what he couldn’t have. And for all of his shenanigans, we get to see that the whole reason behind his nasty behavior is that he doesn’t feel loved. How many times have we seen someone who is positively acidic, always spewing negative comments, especially around the holidays? Perhaps this person doesn’t have a family to look forward to eating Christmas dinner with, and is dreading the arrival of a time when that is everyone else’s focus. 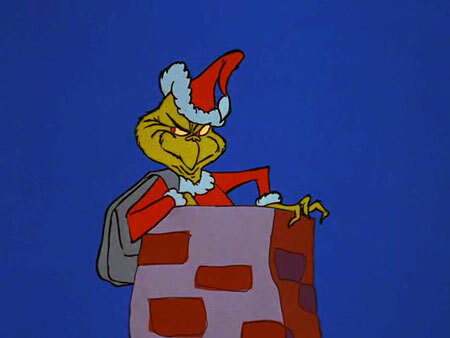 Maybe this person only needs someone to do something nice for the grinchly behavior to fall away. During the holiday season, I urge everyone to try to remember that the holidays may mean joy to some, but it can be a very lonely time for others. Maybe Susie down in Accounting is facing the first Christmas without her mother. Maybe Peter in the mailroom just went through a nasty divorce and won’t be seeing his children for Christmas for the first time since they were born. We cannot judge a person’s behavior for face value sometimes. Be considerate and kind. If you notice that someone around you is having a hard time through the holidays, invite him or her to lunch or bring in some homemade baked goods as a surprise, just because. It is not pity. It is being human, and recognizing that we all have hard times. Your kindness could be the difference between a miserable holiday season, and one that doesn’t feel quite so bad. Be kind to those who are different. There is a place for all of us, and we all deserve to be loved. Don’t judge someone who appears to be nothing more than a curmudgeon. Look beneath the surface. If you notice that someone around you seems to shy away from the holiday cheer, reach out to him or her. You may be the only one who does so. Christmas isn’t about all of the ornaments and presents. It’s about the Spirit of the season: peace on Earth, goodwill toward men. Wishing all of my readers a bright and shiny Holiday Season. ~ by healingstarspirit on December 10, 2010. Tx Nicole. I thought I was the only one who felt like she came from the land of misfits. It’s very hard to do but, throughout the year we must remember to try not to judge others. We have no idea what they are going thru!